Kathryn Joseph, C Duncan and Sweaty Palms will take to the stage this March. 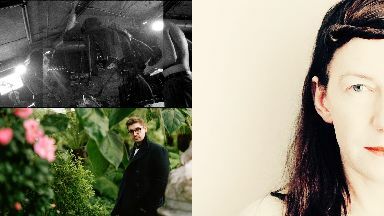 Headliners: Kathryn Joseph, C Duncan and Sweaty Palms. Former Scottish Album of the Year winner Kathryn Joseph is set to step out onstage at this year's Paisley Takeover. The songstress, past Mercury Prize nominee C Duncan and Glasgow band Sweaty Palms have been unveiled as the annual Renfrewshire music festival's 2019 headliners. The two-day event, organised by the Scottish Alternative Music Awards (SAMAs), will feature live showcases, music workshops and industry seminars across multiple venues in the town. SAMAs founder Richy Muirhead said: "I'm thrilled to be bringing the festival back - the town and people of Paisley really love their music so this style of event makes so much sense. "Last year the festival was sadly disrupted by extreme weather issues, so we're delighted to return with a bigger line-up and offering." The festival, run in partnership with Renfrewshire Council and Paisley First, will take place on March 15 and 16. The full programme will be announced on Tuesday.